I like long lenses. That statement would probably come as no surprise to anyone who has seen any of my post here on Field Herp Forum. They often contain as many pictures of birds and mammals as herps. However, birds and mammals aside, even when I’m concentrating on photographing herps I still like long lenses. This is due to the fact that I like shooting in situ, and I like shooting behavior, and that can be pretty hard to do when a short lens forces you to be right up in the animal’s face. If you want herps to behave naturally you need to give them some space! There have traditionally been two basic problems with long telephotos though. The first is that they were more expensive than what most mere mortals can afford. You can buy a very nice late model, low mileage used automobile for less money than the typical 500mm lens! More affordable telephoto lenses have tended to be just a little short for most wildlife, (i.e. 300mm f4 models), or if they did make it into the 500 or 600mm range at an affordable price point, they tended to be lacking in image quality wide open at the longest focal lengths, (precisely where you would use them 90+% of the time). The second issue with quality long telephotos has been that they are large and heavy, definitely not the kinds of lenses you want to hike with. Then a few years ago Tamron announced a 150-600mm zoom that was affordable and appeared to be quite decent optically. Not to be outdone, Sigma announced two different versions of 150-600mm zooms that were said to be even better than the Tamron. I set my sights on getting one of those three lenses, but before I could Nikon announced the 200-500 f/5.6E ED VR. So now I had to make a decision between 4 lenses! I poured over the specifications for all four and read as many test and reviews as I could. I ultimately ended up going with the Nikon for the following reasons. First I looked at test that measured optical quality. The Nikon and the two Sigmas seemed to be essentially equal with some reviewers preferring one or the other Sigma and others preferring the Nikon. The Tamron was universally agreed upon to be slightly inferior to the other three. (Tamron has recently updated their 150-600 and image quality is one of the things claimed to have been improved, so definitely check the new model Tamron out too, if you are looking for this type lens). Second, the Nikon focused closer than any of the others! This is a big deal for herps. The Nikon focuses to 7.2 feet. That’s 1.3-2 ft closer than the two Sigmas. (The new version of the Tamron focuses just as close as the Nikon, the old version had a minimum focusing distance in between the two Sigmas). At 7.2 feet the Nikon is at almost ¼ life size magnification. That’s a frame filling picture of something the size of a Side-blotched Lizard. Third, the Nikon is a Nikon lens. That counts for a lot with me. I’ve occasionally run into compatibility problems with independent brand lenses in the past and I just prefer having all my lenses work in the same way. (All my Nikon lenses focus and zoom in the same direction, have focus and zoom rings placed in the same location relative to one another, have controls for AF and VR in the same location that operate in exactly the same way, etc.). Finally, on paper at least, the Nikon also has better VR than the Sigmas, though I am always somewhat skeptical about manufactures’ claims about image stabilization. The Sigmas do have the advantage of going out to 600 instead of just 500, compatibility with the Sigma USB dock that allows AF fine tuning at a variety of focal lengths and focusing distances, (The new Tamron has something similar called the Tap-in console. I’d love to see Nikon come out with a device like this! ), and in the case of the Sigma Sport version, more rugged construction and weather sealing. Nikon D7200 and Nikkor 200-500 @ 500mm near minimum focusing distance, 1/2000 sec. @ F8, ISO 1600. So now that I’ve had the Nikon 200-500 for an entire field season I think I’ve got a pretty good feel for how it performs, both in terms of optical quality and general usability. I mentioned earlier that one of the criteria I have for a long lens is that it needs to be small and light enough to hike with. The Nikon 200-500 meets this criteria, just barely. The lens is about 11 inches long at 200mm with a diameter of just over 4 inches, and it weighs in at just over 5 pounds. While that’s a lot smaller and lighter than a 500mm f4, it’s also a whole lot bigger and heavier than the 300 f4/teleconverter combos I was used to carrying. The lens does fit nicely while mounted to the camera inside my F-stop Loka backpack and I can still fit three other lenses in the large ICU with it, but all my flash equipment has been evicted from the ICU and now lives in a separate Harney pouch to keep the ICU from being over-crowded. 200-500 attached to camera in F-stop large ICU along with 3 other lens, a couple diopters, and an extension tube. (The foot of the tripod mount is rotated to the top. This is how I like to transport the lens. It makes grabbing it out of the backpack quick and easy). 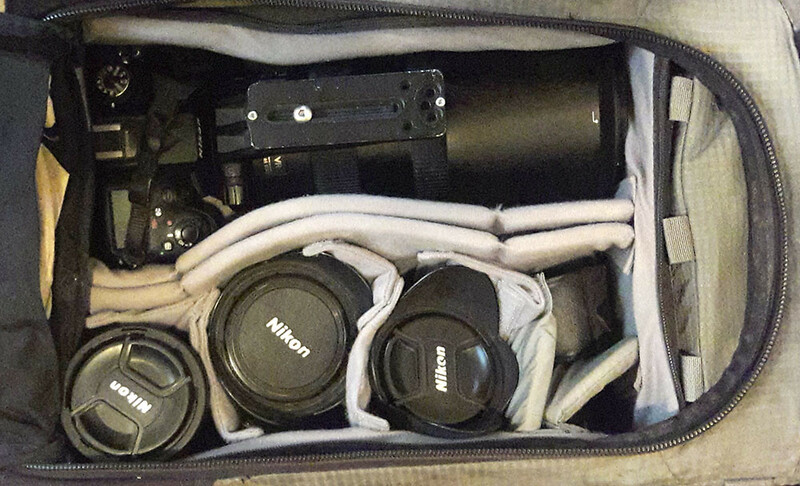 While the lens fits nicely in the backpack, it doesn’t spend a lot of time in there when I’m out hiking. One of the great things about this lens is the very effective VR and this has led me to actually change the way I shoot with a long lens. I now hike with the 200-500 out of the backpack and carried by the tripod foot, (which makes a decent handle), and VR turned on. In this way I am ready for quick grab shots I might have missed before. Nikon rates the VR on this lens at 4.5 stops. I’m using the lens on a DX format camera, so using the old 1 over the focal length x1.5 (for the DX crop factor) rule, that would give a minimum hand-holdable shutter speed of 1/750 sec. at full zoom. Four and a half stops less than that would be 1/30 sec. Not sure if I quite believe that, but I’m pretty comfortable using 1/90 sec. at 500mm with a stationary subject, which is a solid three stops. Maybe I’m just not as steady as other people. One trick that I have learned is to take a number of frames, with the camera’s advance mode on continuous high, (even of completely stationary subjects), when I’m forced to use marginal shutter speeds. When I do so there will always be a frame or two that are noticeably sharper than the others. It may seem silly to shoot off a burst of frames for a stationary subject, but it’s the end result that matters. While three stops VR may seem like a lot less than the claimed 4.5 stops it’s been my experience that stated VR efficiencies are generally over optimistic. This is apparently true for all manufacturers, though my personal experience is limited to Nikon. The Camera and Imaging Products Association, (CIPA), has made an effort to standardize the way image stabilization is measured across manufacturers. I wanted to try to give an explanation for this in my review so I tried to read through a copy of the CIPA standards for lens stabilization, but I kept finding myself dozing off! Incidentally, Nikon now uses CIPA standards for specifying the VR efficiency of their lenses, so the 4.5 stops Nikon specifies is a CIPA standard. The CIPA standards seem to be more stringent than whatever standards Nikon was using before. As an example Nikon used to claim 4 stops VR advantage for the 70-300 VR, but now only claims 2.5 stops. I own the 70-300 as well and feel like I get about 2 stops with it, so the CIPA standards seem to be more accurate than the old standards. At any rate I definitely find the VR on the 200-500 to be noticeably better than on the 70-300, despite the 200-500 being larger, heavier, and with a longer focal length. While I’m on the subject of VR I should mention that VR is not a panacea and it is not a replacement for a good tripod. All VR is able to do is compensate for the vibration produced by the photographer. It does nothing to stop subject motion, which means if you are shooting any kind of action you still need to rely on fast shutter speeds if you want sharp pictures. The question then arises of whether to keep VR on when using fast shutter speeds, or whether to turn it off. VR is not without negative consequences. In particular, it can produce some really strange background artifacts. For this reason, many photographers recommend turning VR off when using shutter speeds over 1/500 sec. I on the other hand, find it useful to leave VR turned on at any shutter speed if, (and this is a big if), I am hand-holding the lens. The reason I leave VR on while hand-holding, even at fast shutter speeds, is because it stabilizes the viewfinder image, which makes focusing much easier and more accurate. (Handholding with VR off at 500mm, the viewfinder image moves around enough that it can be difficult to keep the AF sensor where you want it)! However, if I have the lens on a tripod, (even with the controls loose), or braced on a car door, the ground, etc., I turn VR off at fast shutter speeds. According to Nikon, the 200-500 has tripod mode VR, which is where the lens senses that it is on a stable platform and disables VR, but my experience from forgetting to turn VR off in relatively stable situations with fast shutter speeds is that the VR is sometimes still active and can result in pictures that are actually slightly less sharp than they would be with VR off. I wish I understood the way VR worked well enough to explain why this is the case, but I don’t. VR should also be turned off before changing lenses and when the lens is put away for transport. If I’m driving through an area that has the potential for wildlife photos out the car window I’ll keep the lens and camera out on the seat next to me, but if the road is bumpy at all I turn the VR off until I actually need to use it. The reason is that VR is accomplished by a moving group of elements and many sources say this moving group is more delicate and more susceptible to damage caused by bumps, etc. than the other element groups in the lens, especially when VR is active. When VR is turned off the VR group sort of “parks” itself in a more stable and robust position. 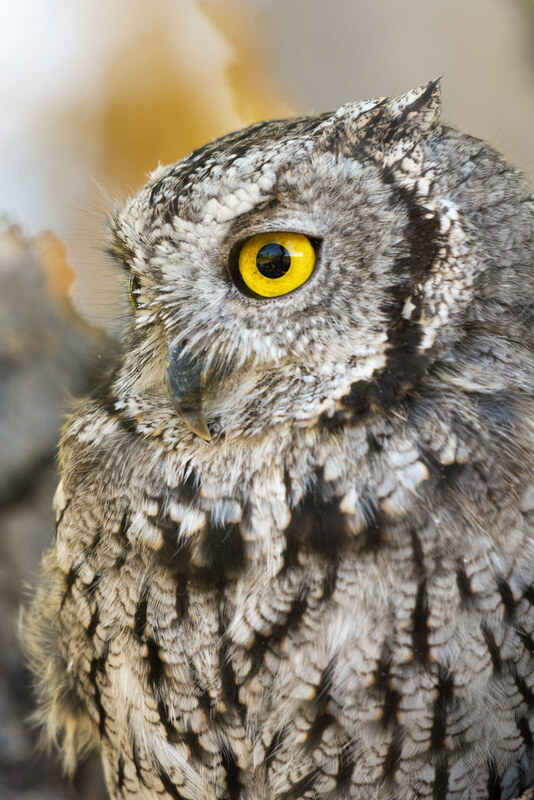 The background in this picture of a Screech Owl is an extreme example of the sorts of background artifacts that are sometimes produced by VR lenses, (note the multiple edges, some of them quite hard, on the out of focus bark in the background). While I don’t believe VR is a replacement for a tripod, neither do I believe a tripod is a replacement for VR! The VR on this lens and the associated freedom to hand-hold the lens easily has opened up a whole new set of photographic possibilities. 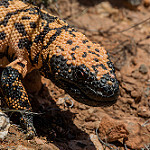 I love being able to hike through good lizard habitat with the lens in hand, ready to go in an instant, and I have definitely got some shots I would have missed in the past because using the lens hand-held is so easy. As nice as that freedom is however, there are times when the lens needs to be mounted on a tripod. In particular, watching any animal for a long period of time is much more comfortable with the weight of the lens supported on a tripod instead of my aching arms! When the Nikon 200-500 first came out a lot of people were exclaiming that Nikon had finally come out with a good tripod collar on a telephoto lens. All I can say about that is that it is a testament to just how bad many of Nikon’s recent tripod collars have been! The tripod collar Nikon supplies with this lens is just OK in my opinion. It flexes noticeably. With everything locked down as tightly as possible on a good quality tripod you can move the front of the lens up and down by pushing the camera in the opposite direction and you can see the end of the lens vibrate if you tap on the camera body. If I were going to shoot landscapes with this lens I would definitely want to lock up the mirror, use a remote release, and hope for no wind. However, I’m guessing that Nikon figured (correctly) that few photographers would be using the lens clamped down tightly on a tripod anyway. The collar is removable if you rotate it to a particular point and then pull it back towards the lens mount. (Lens must be off the camera to do this). The down side to this is that the collar tends to catch at the point where you remove it when you are just trying to rotate it during shooting. I never remove the collar since I find it makes a convenient carrying handle. When hand-holding I either rotate it up to the top of the lens, or off to one side if I need to use the camera’s built in flash for fill. By itself the foot on the collar is just a little too short to make a good handle. My pinkie, ring finger, and middle finger are the only ones that made contact with the foot. The quick release plate I have on my lens, (a Kiwiphoto LP-115), provides my index finger with a place to grip as well. On a tripod the lens is front heavy when attached to my Nikon D7200 and zoomed out to the long end. This makes using a ball head inconvenient with this lens, though it can certainly be done. When you loosen the ball the lens tends to want to flop forward. A lens like this really does benefit from the use of a Gimbal head. I still need a ball head for my shorter lenses, so for this lens I purchased a Wimberley Sidekick. The Sidekick is a ball head Gimbal adapter. It mounts into the Acrca-Swiss clamp of any quality ball head with a panning base and converts that head to a side-mount Gimbal head. The Sidekick is small and light enough to just throw in the backpack. This way I have a Gimbal head for the 200-500, but still have the ball head for my shorter lenses, (while a Gimbal head is great for long lenses, they are all but useless for anything else in my opinion). The idea of a Gimbal head is that you mount the lens/camera combo with its center of mass directly above the tripod. When you do that the lens no longer flops, (in fact it will stay put in any position even with all the controls on the head loose), and it is much easier to manipulate the lens camera combo. You can literally move a very heavy setup around with just a fingertip. When I first got the 200-500 I put an 86mm quick release plate on it, (because I already had the plate). That plate matched the length of the tripod foot perfectly, but balancing the lens on the Sidekick at 500mm required moving the plate back so far in the clamp that only the front of the plate was clamped, with the back of the plate sticking out and empty space in the clamp in front of the plate. I replaced the 86mm plate with a 115mm one which allows the entire surface of the clamp to be used when the lens/camera are balanced. I don’t know if it results in any increase in stability, but it certainly increases my peace of mind. Incidentally, the balance of the whole setup changes when you zoom. Re-adjusting the balance is a simple matter of loosening the clamp and moving the lens/camera forward as you zoom to shorter focal lengths or backward for longer focal lengths. To be honest though, I never do that. Since I use the lens at the long end most of the time, I just balance it at 500mm and accept that it will be slightly out of balance if I zoom to a shorter focal length. In practice the change in balance is not that significant, the lens may no longer stay put with the controls on the head completely loose, but it’s still far easier to use than on the ball head alone. The Nikon 200-500 is a type E lens. This means that the aperture blades are controlled by an electromagnetic mechanism rather than a mechanical one. Nikon claims more accurate control of aperture during continuous shooting with this mechanism. The down side is that the lens will not work on some older cameras, (basically D200 and older models). On the left side of the lens, (as viewed when from behind the camera), are four controls all grouped together. The M/A, M switch that lets you choose between manual focus control only or autofocus with full time manual focus override. I never use this control, since I have my AE-L/AF-L button on the back of the camera reprogrammed as an AF-on button, I can just leave the lens permanently set to M/A. My shutter release only releases the shutter, it doesn’t initiate auto-focus, so in the rare instance that I need to focus manually I just grab the focus ring and turn it and make sure to keep my thumb off of the AF-on button. Below the M/A switch is the switch for AF range selection with choices of full, (2.2m to infinity), or limit (6m to infinity). I’ve never used this control on any lens I’ve ever owned that has it. The limit mode is supposed to limit AF hunting when shooting distant subjects, but most of what I shoot is closer than 6 meters! Below the focus range switch is the VR on/off switch and below that is the switch to choose VR mode. The choices there are normal and sport. As I understand it normal is what you want to use most of the time. Sport would be for situations like shooting from a boat in choppy water, etc., (Nikon used to call this mode “active”). Also on the left side, between the focus and zoom ring, is a button to lock the lens at 200mm for transport. I never use that one, but suppose it could be useful if you were going to carry the lens on a tripod slung over your shoulder for any distance and didn’t want the barrel sticking way out to catch on or bang into stuff. The lens also comes with a plastic bayonet lens hood which is easy to put on and mounts securely for shooting, but I find it awkward to mount in reverse for storage. It always takes me several tries to get it right for some reason. The zoom ring is located at the front of the lens. It’s quite wide and it also has a really long throw from 200-500. This is actually a usability issue. It is impossible to zoom from one end of the focal length range to the other in a single movement. I have to zoom from 200 to about 300, remove and re-position my hand, then zoom from 300 to 500, (or vice versa). While I’m not sure Nikon would recommend it, you can also zoom by just grabbing the front of the lens and pushing and pulling it like the old one-touch zooms. In many cases this is actually easier and faster than using the zoom ring, but again I don’t know what kind of strain that might be putting on the zoom mechanism. The focusing ring is at the back of the lens and is quite easy to use. I did have some problems with the position of the focusing ring when I first got the lens, because I would accidentally move it when I was hand holding or when I braced the lens against my car door. I’ve since learned to hand-hold the lens with my hand further forward on the zoom ring and to rotate the tripod foot to the bottom and brace that against a Puffin Pad, (http://www.puffinpad.com/), on the car door. Still I wish Nikon offered an auto-focus only position on the M/A, M switch or on the focusing ring itself, that would disable the linkage between the focusing ring and focus mechanism so that it wouldn’t matter if you accidentally bumped the ring. When I was trying to decide between the Nikon 200-500 and the Sigma 150-600 one of the strongest factors favoring the Sigma was the availability of the USB dock to correct focus errors for several different focal lengths and focusing distances. Maybe I spend too much time looking at 100% crops of my photos, but I absolutely loath focusing errors. If I focus on an animal’s eyes I expect the eyes to be in focus in the picture, not the scales right in front of the eyes or the scales right behind the eyes. Because I’m overly picky, and because phase detection auto-focus is subject to errors, I’ve found that most telephoto lenses need some focus correction. Unfortunately, with zoom lenses it’s possible to need very different corrections at different focal lengths. For example, my 70-300 back focuses at 70mm, but front focuses at 300! Nikon cameras only allow you to store one focus offset for each lens, so if the 200-500 behaved similarly to my 70-300, then I would be better off with the Sigma. I finally figured that since I was buying the lens new and it would have a warranty, I could always send it back to Nikon if necessary to correct any focusing errors. Fortunately, I didn’t need to send it back. My 200-500 does front focus, but throughout the zoom and focus distance range the variance is only from +3 to +5. So I just set it at +4 and forget it. (The difference between +4 and either +3 or +5 is really imperceptible). So my 200-500 focuses accurately, but it doesn’t focus particularly fast. In fact, I don’t think it focuses any faster than my old 300 f4 AF-S + TC-17e combo did and that combo only had a maximum aperture of f6.7, which was beyond what the camera I was using at the time was specified to be able to AF with! The main problem in my experience, (and this tracks well with what others have written about this lens), is that the lens is slow to find focus at first. In fact, in some circumstances it just refuses to find focus at all. This happens to me occasionally when I try to focus on a close subject, but the lens was originally focused on something distant. The lens will rack the focus forward, but stop short of actually focusing on the close subject. I’ve actually had to grab the focusing ring and manually focus the lens to get it to acquire the subject! Even when the lens does successfully find focus, (which is in fact 95+ % of the time), it’s just kind of slow to do it. By comparison my 70-300 VR is much faster. I know that the 70-300VR has the ring-type motor that is used in Nikon’s higher end lenses. Perhaps Nikon has used a cheaper, slower motor to help keep the cost of the 200-500 reasonable. Fortunately, once the lens has acquired auto-focus, it is quite good at keeping it, such as when tracking a moving subject. Despite being slow to initially find focus the Nikon 200-500 is quite good at maintaining focus on a moving target once its locked onto one. These garter snakes hunting fish were moving constantly, but the 200-500 kept up. All this discussion about focus is important, because without good focus, you aren’t going to get sharp pictures and sharpness is one of the areas where the Nikon 200-500 really excels. The lens is sharp at every focal length and it is sharp wide-open. I’m under no delusion that it is the equivalent of fixed 500mm f4, but rest assured the sharpness of this zoom is very, very good indeed. As good as it is wide-open it gets even better at f8, though in most circumstances I’d rather have the faster shutter speed or lower ISO I get at f5.6 than the little bit of extra resolving power and contrast I get at f8. The lens still looks quite sharp at f11 and I can’t recall ever using it at f16 or smaller, though I’m sure diffraction would begin lowering performance at that point. As is usually the case with telephotos distortion and vignetting are not issues, but unfortunately flare is. One of the cost cutting measures Nikon took with the 200-500 was to not use the Nano lens coating that they use on their higher end lenses. As a result, the 200-500 flares easily with strong backlighting. My wide-angle lenses also tend to flare, but in the case of those lenses the result is the production of oddly colored ghost images of the aperture blades. There is very little loss of contrast or detail in the rest of the image. The ghost can be, (with a lot of post processing work), removed in many cases. With the 200-500 on the other hand backlighting results in veiling flare, which reduces contrast and obscures detail. If the backlight is not too strong the dehaze slider in Adobe Lightroom can sometimes salvage the photo. Sun in the frame photos are completely out of the question though. This is an example of the sort of veiling flare the lens produces with strong backlight. In this case it’s not too bad, naturally I’ve deleted all the really bad examples! So there you have it folks! The good and the bad of the Nikon 200-500 from my perspective. The bottom line though- I absolutely love this lens! It’s sharp, has great VR, and is relatively easy to carry. It really has opened up new photo opportunities, which I think is the ultimate criteria on which to judge a piece of equipment. Edit added 01/29/2017- When I originally wrote this review I'd been using the lens during the warm parts of the year, primarily while hiking, and primarily hand-held. This winter the lens has seen a lot of use shooting Cranes and Snow Geese often mounted on a tripod. This has caused me to re-evaluate the supplied tripod collar. I no longer think it is '"ok", rather I now think it is inadequate. The biggest problem is something I mentioned already and that is that the lens tends to catch at the point where it is designed to pull back off of the lens. While this is an annoyance when moving the collar to position the foot out of the way for hand-held photography it is an extremely frustrating and difficult to correct problem when using the lens on a tripod, especially when your hands are cold and you're trying to work quickly with moving subjects. After missing too many shots while trying to get the collar back where it should be with the lens on a tripod, I purchased the Kirk Replacement Collar, (model #NC-200-500). The Kirk collar is in almost every way an improvement over the Nikon collar. Rather than sliding onto the lens from the rear, the Kirk collar opens up completely and clamps down around the lens. This means there is no groove to allow the collar to be pulled backwards off of the lens and no point where the collar catches in its rotation. The attachment of the foot to the collar is much more substantial than on the Nikon collar. The locking knob is bigger and much easier to use than on the Nikon. The Kirk collar rotates more smoothly than the Nikon and appears to be more stable as well. The Kirk collar does have two downsides though. The first is that the larger and more robust attachment of the foot to the collar, (which no doubt contributes to the Kirk collar's greater stability), makes it impossible to get your fingers around the camera's grip if you have the collar rotated to the right side of the camera. I have been accustomed to mounting my Wimberley Sidekick on the right side of my ball head because that keeps the ball head's main control knob and panning base knob at the front of the ball head, which is where I have them when using the ball head alone. Also mounting the lens to the right side leaves the left side of the lens, where the controls for VR and focus are located, free of any obstructions. With the Kirk collar I now have to mount the Sidekick on the left side, which is an inconvenience, but not an insurmountable one. Off course if you are using just a ball head or a full Gimbal rather than a side mount Gimbal then these points are mute, since you'll be mounting the lens with the foot on the bottom. The other minor negative for the Kirk collar is that its top side is not rounded at all, so it sort of digs into your fingers a bit when you are carrying the lens by the tripod foot. Overall though I like the Kirk collar much better than the Nikon and if you are considering this lens and plan to use it much on a tripod I would definitely recommend the replacement collar over the stock Nikon collar. Bill, thanks for taking the time and putting together this excellent review! I had read some reviews online but its certainly very useful to read one from a photographer whose work I am familiar with and admire. I have been extremely interested in this lens and some of the others you mentioned and plan to get one when funding allows. Thank you Bill! I'm still playing with the idea of this lens, or the new Tamron 150-600mm G2 (so far looks great). With the new D810, having major issues with the 300mm F/4 (old version) + 1.4x converter. Chad M. Lane wrote: Thank you Bill! I'm still playing with the idea of this lens, or the new Tamron 150-600mm G2 (so far looks great). What sort of problems are you having. I thought you had the 300 f4 AF-s. That lens worked beautifully for me with the 1.7x for herps. The combo was not very sharp for distant subjects though. May have been an af fine tune issue. I suspect that the fine tune value that worked for close-ups may not have been appropriate for distant subjects. I've since bought the Focal software for af fine tuning my lenses, and it makes the whole process so easy that I now test at various distances, instead of just using the standard recommendation of 25-50 times the focal length. Wish I would have more extensively tested my 300 when I had it. It's is the AF-S (non VR) It's a sharp setup (I'll post a Fence Lizard photo at min-focus distance). With the 36MP Sensor in the D810 vs my D700, and D610 for hand-held shots it's incredibly hard to be stable enough with this combo, works great with a Tripod, monopod, and if I have something to lean on. However I didn't have these issues as drastically as I did with previous bodies. There are just some situations where I need to be hand-held. It was brought to my attention that second hand used Sigma 500mm F/4.5 drop drastically in price 5K new, however that lens can only focus at 13', rather than my 420mm setup at 6'. Have you used the 200-500mm with any converters? Also what program to you use for fine tuning, it's an older lens with a newer body maybe I should do it. Nikon D810 | Nikkor 300mm F/4 + 1.4x converter @ 420mm | F/5.6 | 1/160th | ISO 250 This was at min focus distance, no crop. What metering setting are you using? Try single point with all the factory settings set to default. That worked for me. I also use a converter. The converter gets me a closer image but I gotta tread lightly because going past the lens mm limit is a journey into the fog (blur). Chad M. Lane wrote: It's is the AF-S (non VR) It's a sharp setup (I'll post a Fence Lizard photo at min-focus distance). With the 36MP Sensor in the D810 vs my D700, and D610 for hand-held shots it's incredibly hard to be stable enough with this combo, works great with a Tripod, monopod, and if I have something to lean on. However I didn't have these issues as drastically as I did with previous bodies. There are just some situations where I need to be hand-held. I never used my 300 f4 AF-s hand held. It was always on a tripod or leaning against the car window frame, ground, etc. That's why I've found the 200-500 to be so liberating! If you are using your 300 + 1.4x hand held then I can see how the lack of VR would be a problem. The Sigma 500 f4.5 is from all I've read, a great lens, but it too lacks VR, plus its a lot bigger and heavier than the 300 + 1.4 x combo, so I don't see how that would improve your situation at all. Sounds like a VR lens would be the best option for your style of working. 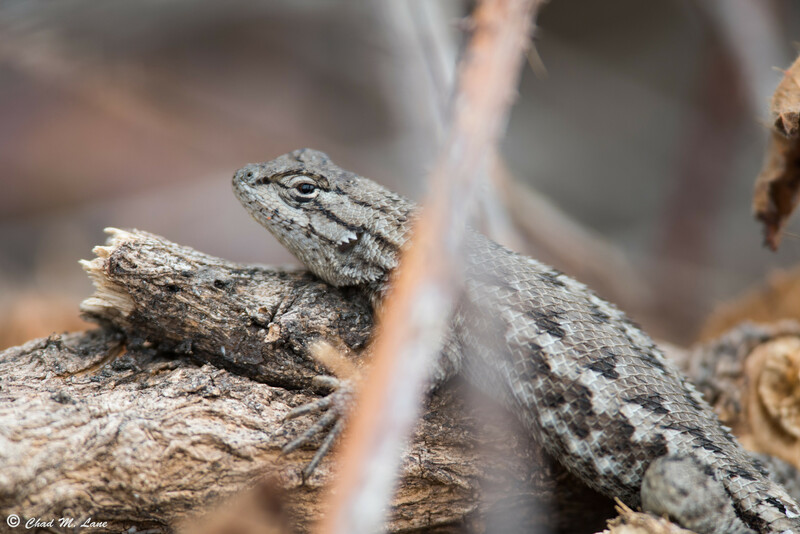 Based on what you said about hand holding and the Sceloporus picture you posted, I don't know that focusing errors are an issue at all. However, if it were me, I'd still want to test the lens to be sure I was getting the best possible focus out of it. Like I mentioned earlier I use Focal software, (the pro version is worth the extra money in my opinion), to do my AF fine tuning. I have not used a converter on my 200-500 yet. Its supposed to be compatible with the Nikon 1.4x, but its already an f5.6 lens. The converter will make it f8 and if its anything like most lenses I've used in the past, it will need to be stopped down at least half a stop from that for decent optical quality. A 700mm f9.5 or 11 doesn't sound all that useful to me! If you really like the 300 + 1.4 combo that new Nikon 300mm f4 PF VR looks pretty sweet and its smaller and lighter than the AF-s, plus you already own the teleconverter. Porter wrote: What metering setting are you using? Try single point with all the factory settings set to default. That worked for me. You have a lower MP body, and a VR lens = different results. High MP bodies (35MP +) and telephotos are incredibly hard to hand hold even with smaller mm lenses the more still you are the more you can get out of all that dynamic range and resolution same goes for other bodies but more important and exaggerated with larger sensors and MP sensors. Landscape photographers even use a mode called mirror up mode, that moves to mirror upwards so when they depress the shutter that mirror doesn't move and create a slight camera shake, slightly reducing sharpness. Bill wouldn't the 200-500mm 1.4x converter = F/6.3? I'm still waiting for some Tamron 150-600mm reviews to come in, I think MOST of my lizard shots are somewhere between F/7.1-9, but I do go less semi often, so it's something I need to pound with the 200-500/150-600 options. I think the Sigma 500mm based alone on focus distance is out of question I need it to focus much closer than that. I guess I need to weight my options a little more, as I really need something longer than 420mm. Did you try single point metering with the default settings? No, a 1.4x teleconverter cost you one stop of light. F6.3 is only 1/3 stop slower than 5.6. Hopefully the reviews of the new Tamron are good. I can definitely understand needing more than 420mm. I shoot a dx body, so for me the 200-500 is the equivalent of a 300-750 for you. Incidentally, the "crop factor" is the prime reason why I shoot dx and haven't bothered moving to fx, though I suspect I'll eventually get an fx camera for landscapes and other subjects where reach isn't so important. I think as this point if the reviews are good, I'll sell my 300mm, and pick up the Tamron, if I don't like the results I'll end up getting the new 300mm VR. Thanks for the review. I read this review when you originally posted it a year ago and I'm know reading it again because I'm looking into purchasing one of these telephoto lenses you've talked about here. Currently I'm looking at the Tamron Version 1 or the Sigma Contemporary because that's what is in my budget. The extra $400-$500 might be a little bit of a stretch for me for the Nikon or Tamron G2. Curious if you have any experience with the Sigma or Tamron? I've read lots of reviews and they seem to go back and forth. I've heard people really like both lenses and I haven't heard any regrets. The biggest thing I've noticed is people say the Tamron auto focus is a bit faster than the Sigma and seems to lock on to the subject better. I've also seen the Sigma image quality is slightly better than the Tamron. I'm kind of torn between the two choices. If I pick up the Sigma will I be missing shots because of the auto focus? In that case, is the image quality that much better to be worth possibly missing shots because the auto focus won't lock on? There are a few things I like about the Sigma and a few I like about the Tamron. I have both brands with other lenses and really like them both. At this point I don't favor one over the other. My main reason for the lens will be birds or other wildlife from a distance. Probably won't use it much for herps. I'm taking a trip to the Tetons in a few weeks and I've rented the Nikon 200-500mm for the weekend. Maybe that will change my mind about the price difference? Anyway, curious what your opinion is or what your experience is if you have any with these other lenses. Unfortunately I have no experience with either the Tamron or the Sigma. All I could tell you is what I've read, which I'm guessing you've read as well. One point in favor of the Sigma from my point of view is its compatibility with their dock. I believe you are able to adjust focus speed as well as fine tune for back and front focus with the dock. However, be sure to research whether or not that is the case, I might be mistaken on this. Personally, if it were me, I'd look for a good used copy of the Nikon. I was shooting skunks last night just after sunset, hand-held at 1/250 sec., wide-open, on a D500 (same pixel density as the new D850), and they are absolutely tack sharp. I probably could have gone even slower if they would have ever stayed completely still. The VR and sharpness of this lens is simply amazing! Thanks Bill, I will look into that. I did find a Tamron G2 used for $1000 the other day. I'm going to test out the Nikon first and see if it changes my mind. I'll also throw in my thanks to Bill on the lens review. I had originally purchase the Tamron 150-600mm g1 and had some degree of success and enjoyment with it. For birds and wildlife at a distance it was good and better at closer distances. However, I wasn't ever able to achieve the sharpness I was wanting from it. I then pursued purchasing either a g2 version (which I can say it better than the g1 in many ways including sharpness), the Sigma equivalent, or the Nikon 200-500mm. I poured through lots of reviews including even the Canon 100-400mm g2, but i kept coming back to the Nikon 200-500mm. I then rented all of the above mentioned. In the end I purchased the Nikon 200-500mm and have been very happy with it. It is a noticeable upgrade in contrast and sharpness. While I agree that the AF is slow, it is quick enough for my purposes and is able to get some BIF shots. It has now been through a year and a half (over 200 days in the field) of use in the western United States and a brief trip to Costa Rica. My only two minor complaints with it are the already discussed slow AF and the lack of weatherproof sealing. Otherwise I'm loving this lens. Roki wrote: I'll also throw in my thanks to Bill on the lens review. I had originally purchase the Tamron 150-600mm g1 and had some degree of success and enjoyment with it. For birds and wildlife at a distance it was good and better at closer distances. However, I wasn't ever able to achieve the sharpness I was wanting from it. I then pursued purchasing either a g2 version (which I can say it better than the g1 in many ways including sharpness), the Sigma equivalent, or the Nikon 200-500mm. I poured through lots of reviews including even the Canon 100-400mm g2, but i kept coming back to the Nikon 200-500mm. I then rented all of the above mentioned. In the end I purchased the Nikon 200-500mm and have been very happy with it. It is a noticeable upgrade in contrast and sharpness. While I agree that the AF is slow, it is quick enough for my purposes and is able to get some BIF shots. It has now been through a year and a half (over 200 days in the field) of use in the western United States and a brief trip to Costa Rica. My only two minor complaints with it are the already discussed slow AF and the lack of weatherproof sealing. Otherwise I'm loving this lens. I had an interesting, (actually extremely frustrating), experience with the focus on the 200-500 about a week ago. I was sitting on the ground next to a marsh where a Harrier would fly past pretty regularly as she hunted. After some time I saw her at the far end of the marsh and focused on her, watching her through the viewfinder as she approached. Then she began flying straight at me and I briefly lost her in in the frame. When I regained her, she was much closer and out of focus. I got my af sensors on her, (I was using group af at the time), and mashed on the af on button, and NOTHING! The lens just refused to focus. I kept removing my thump and re-pressing the AF on button, but it would not focus, it didn't even try! I could see her out of focus form, filling the frame in what would have been an awesome picture, but the lens did not focus! When I got home I cleaned the af contacts on the camera and the lens, and I must admit, the alcohol wipe I used was pretty dark with residue that I removed, so that might have been the problem. A week before that at the same marsh, with the same Harrier I learned another valuable lesson about this lens. I decided that since I was using 1/2000th of a second shutter speed I would turn VR off, even though I was hand-holding. Big mistake. None of the pictures I took where critically sharp. For me at least, there is a definite benefit to using vr, even at fast speeds, whenever I'm hand-holding. I can't explain why and I know it goes against what is usually advised, but unless the lens is being stabilized in some other way, (tripod for example), I'm leaving vr on, regardless of shutter speed.